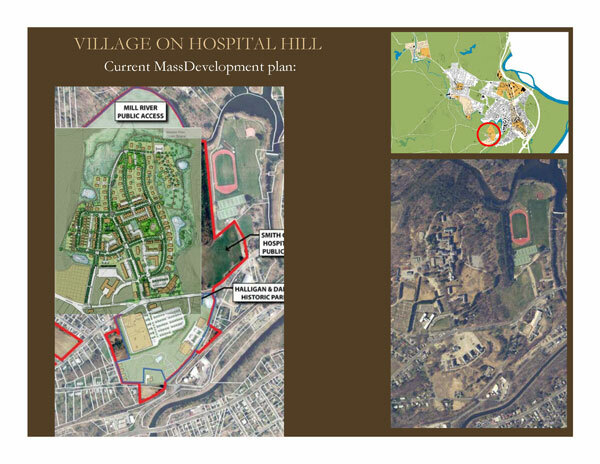 Here is a complete blip.tv video of Kollmorgen presenting a proposal for its new Hospital Hill facility to the community on May 20. This meeting took place at Cahillane Dodge, 375 South Street in Northampton. This video is 48 minutes long and was recorded by Lachlan Ziegler. 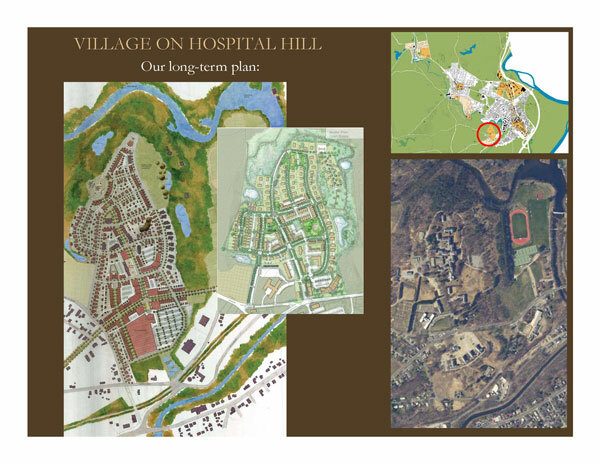 Ward 4 City Councilor David Narkewicz has arranged for representatives of Kollmorgen Electro-Optical Corporation to present Hospital Hill neighbors with plans and drawings for its development of a new facility on the South Campus of the former Northampton State Hospital across Route 66 from Village Hill Road. 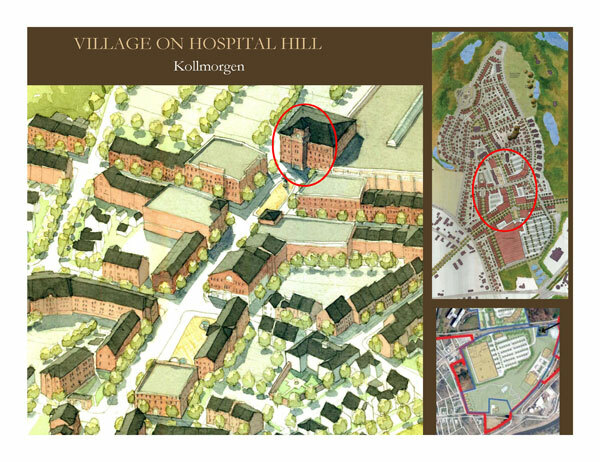 Kollmorgen officials are scheduled to go before the Northampton Planning Board on May 28, 2009 for a Site Plan Review hearing on its new facility, so this meeting will provide neighbors with an opportunity to understand and ask questions about the project before that formal permitting process begins. 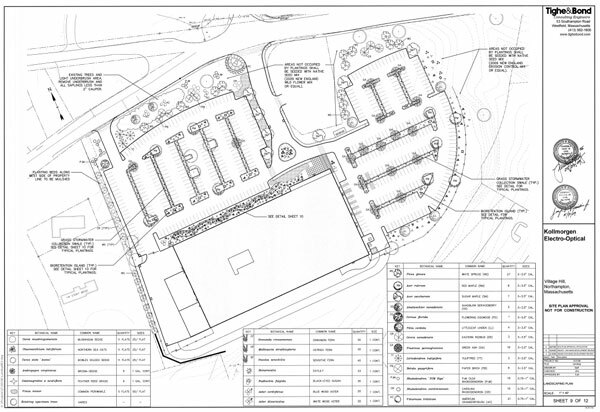 Kollmorgen officials are scheduled to formally present design plans to the Planning Board at its regularly scheduled meeting Thursday, May 28, at 7 p.m. in City Council Chambers. Page 55: We propose a more dense, and compact development to encourage successful retail spaces, increase walkability, and reduce the number of vehicular trips into the City. 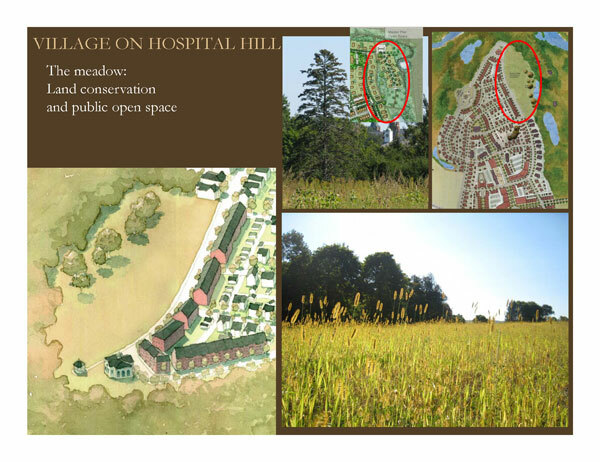 The more compact development also allows the sites with the best views to the surrounding landscape and the City to be preserved as public parks. 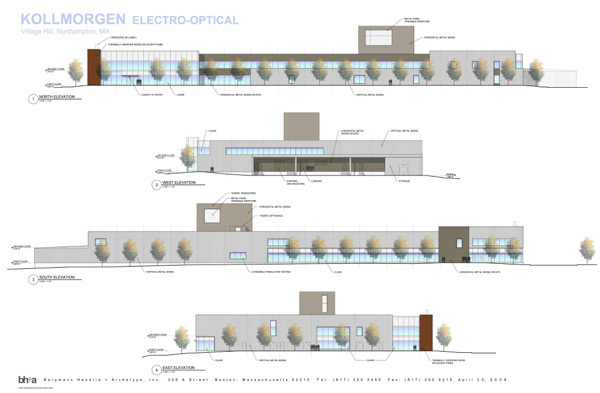 buildings while allowing for mixed-use buildings along Route 66 to screen the bulk of the parking lot and manufacturing building. portion in question is 1:41:00-1:51:45.
contributing to public debates in the future. The proposal essentially destroys the site’s most valuable features. space that is conducive to community life. public space proposed in which these activities might thrive. 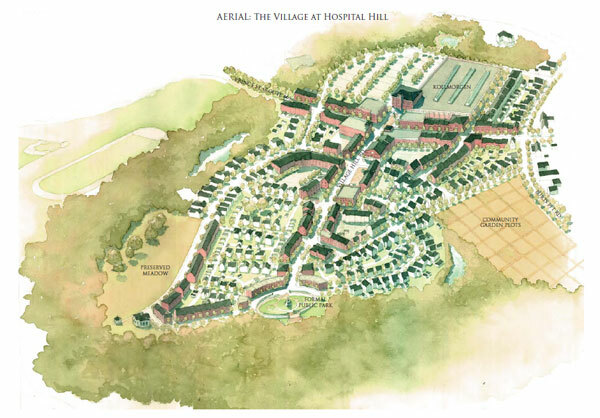 The proposal does not create a walkable community. It is a residential subdivision that depends on cars. 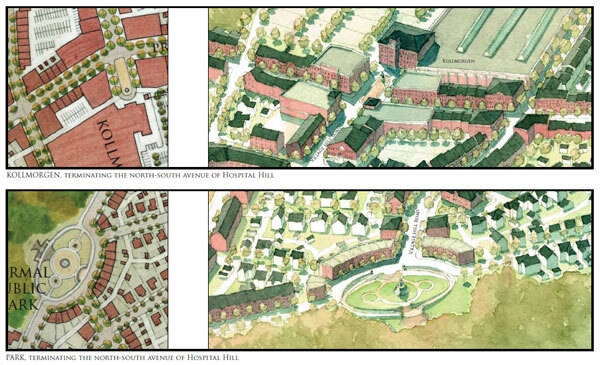 Hospital Hill, Infill, Neighborhood Character, Northampton Design Forum, Videos. permalink.